Mission Statement The Humane Society of Sedona is committed to actively helping animals in our community and to cultivating the same commitment in others. * achieve a safe and caring environment for every animal. * heighten awareness of the value of animals in peoples' lives. * provide a safe and caring temporary shelter for animals in need. * ensure the highest level of health and safety for both humans and animals. * foster and maintain relationships among organizations and individuals concerned with animal welfare. * generate the resources necessary to accomplish these goals. 800 dogs and cats are cared for annually at the shelter by our trained and dedicated staff - on duty 365 days a year. Our Low Cost Low Income Spay/Neuter Clinic reduces animal overpopulation. The monthly pet adoption newspaper page, internet web site, Dog Walks, Off-Site Adoption Vehicle and word-of-mouth promotion by scores of volunteers encourages rapid placement. We work through school programs, classes, publications, and political action to better the lives of animals. Together with the City Animal Control, we educate the community about responsible pet ownership so that animals do not endanger humans. We offer summer camp for kids. Camp sessions are Monday through Friday from 9:00 to 1:00 and are for age groups 7 to 10 years old and 11 to 13 years old. Includes learning about animal care, craft activities, guest speakers, hands-on interactions with animals, and more. Call for dates and prices. We'll help you select a lovable, healthy pet. Shelter animals are vaccinated and evaluated behaviorally and physically before adoption. Each adopted pet receives a medical exam donated by a local veterinarian after adoption. We reunite hundreds of lost animals with their owners, providing a safe and loving environment for lost pets until their owners can retrieve them. We offer quick and easy dog licensing right at our shelter. Description: Front of our new building. Come in any time to see the animals or have a tour! We're open 7 days a week. We love visitors! Description: This is our donated mobile adoption unit to be used for off-site adoption events and if needed, emergency evacuations in northern Arizona. Description: This is a view of the inside of our donated mobile adoption unit. It was retro-fitted with kennels for up 15 dogs and 15 cats. If needed for an emergency evacuation we could potentially kennel 20 dogs and 15 cats! A group of donors paid to have the RV converted. It has turned out beautifully. Check out our Calendar on our website for upcoming events. Description: This is the setup for the annual Petapalooza event held in October at the fairgrounds in Cottonwood. Last year we adopted out 12 cats, 11 dogs and 2 rabbits! Description: Merle Rhodes purchased his chicken at the This 'n That Retail Center at the shelter. His chicken is his favorite new toy and he sleeps with it every night. Merle highly recommends This 'n That for purchasing new and gently used pet toys and supplies for your favorite furry friend! Description: Our dog walkers often let groups of dogs play in the shelter courtyard to help improve their social skills and to just have fun! Donors Who Funded our Legacy Park fence! Description: These wonderful people donated funds so we could fence in the lot next door for shelter dogs to run and play in! The dogs absolutely love it. In the near future we will be providing opportunities to honor or memorialize loved ones and favorite furry friends. There will be engraved bricks, engraved landscaping stones and park benches. Call 282-4679 if you'd like to be on a list to be contacted. Description: We offer week-long Kids and Kritters camp to various age groups every summer. It includes all kinds of hands-on activities and special guests. Registration will be announced later this spring. Description: Paw Prints Thrift Shop is located in the Village of Oak Creek. They have a great selection of furniture, household items, books and much more. Please check them out! If you have extra items you would like to donate, we'd appreciate them! The Humane Society of Sedona needs Wet Dog Food Pate, We also need kids aprons for our KidS & Kritters Camp, and Fleece blankets for Paws for Kindness craft projects for the animals. You can check out our Amazon Smile Wish List for Humane Society of Sedona to order online or drop off at the shelter at 2115 Shelby Drive. Questions? 928-282-4679. 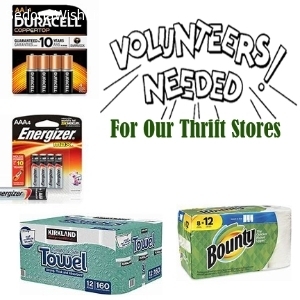 The Humane Society of Sedona needs Thrift Store Volunteers ❤️ We could also use New AAA/AA Batteries, and Paper Towels. You can check out our Amazon Smile Wish List for Humane Society of Sedona to order online or drop off at the shelter at 2115 Shelby Drive. Questions? 928-282-4679. 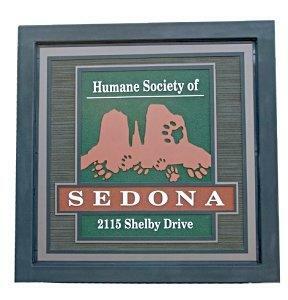 The Humane Society of Sedona needs Dry Dog Food, Meat Flavored Baby Food, Paper Towels and Hand Soap. Check out our Amazon Smile Wish List for Humane Society of Sedona to order online or drop off at the shelter at 2115 Shelby Drive. Questions? 928-282-4679. 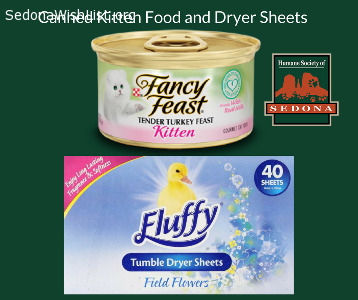 The Humane Society of Sedona needs Turkey flavored baby food and canned tuna fish for the Kitties. We also need LG & XL sweaters & Jackets. Check out our Amazon Smile Wish List for Humane Society of Sedona to order online or drop off at the shelter at 2115 Shelby Drive. Questions? 928-282-4679. 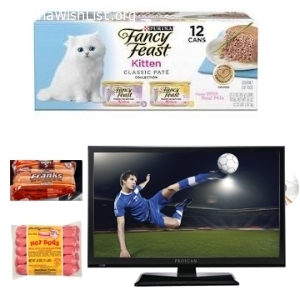 The Humane Society of Sedona needs Kitten wet food, Hot Dogs and Proscan PLEDV2488A-E 24-Inch 720p 60Hz LED TV-DVD Combo for our dog & cat rooms available on our Amazon Smile Wish List. 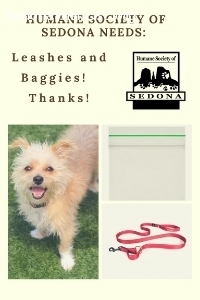 To order online for the Humane Society of Sedona go to https://www.amazon.com/dp/B00A0Y7WNY/? or drop off at the shelter at 2115 Shelby Drive. Questions? 928-282-4679. 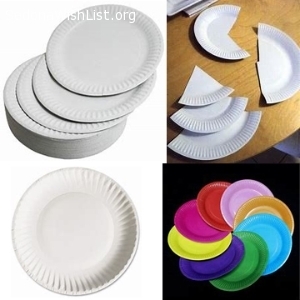 The Humane Society of Sedona needs Large Paper Plates. We cut them in sections and use them to feed the animals. Check out our Amazon Smile Wish List for Humane Society of Sedona to order online or drop off at the shelter at 2115 Shelby Drive. Questions? 928-282-4679. 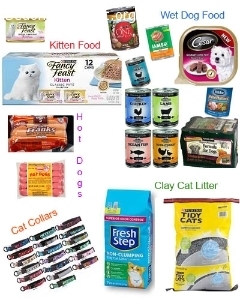 The Humane Society of Sedona needs Wet Puppy Food, Wet Kitten Food and Unscented Clay Kitty Litter. Check out our Amazon Smile Wish List for Humane Society of Sedona to order online or drop off at the shelter at 2115 Shelby Drive. Questions? 928-282-4679. 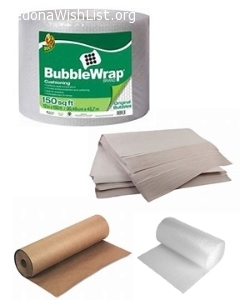 The Humane Society of Sedona Thrift Stores need Bubble Wrap and Packing Paper (No Peanuts) to pack fragile and delicate item purchases. Check out our Amazon Smile Wish List for Humane Society of Sedona to order online or drop off at the shelter at 2115 Shelby Drive. You can also drop off at either of our thrift stores. Paws West 2081 W 89A #11, 928-282-1287 and Paw Prints 6040 Hwy 179 in the VOC, 928-284-4635. Questions? 928-282-4679. 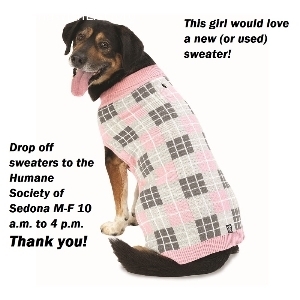 The Humane Society of Sedona needs Small, Medium & Large Dog Sweaters. 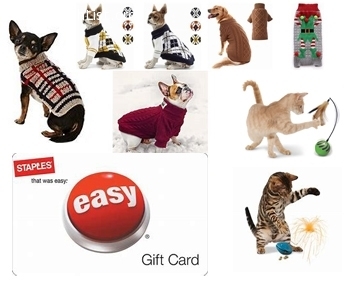 We also need Cat Toys and Staples Gift Cards for office supplies. Check out our Amazon Smile Wish List for Humane Society of Sedona to order online or drop off at the shelter at 2115 Shelby Drive. Questions? 928-282-4679. Thank you to our amazing community for all you do to support us. The Humane Society of Sedona needs Kitten Wet Food and Clay Litter. Check out our Amazon Smile Wish List for Humane Society of Sedona to order online or drop off at the shelter at 2115 Shelby Drive. Questions? 928-282-4679. The Humane Society of Sedona is gearing up for the holidays with their “TOY, BED & FOOD DRIVE”. They are asking for the community’s help in restocking the shelter with much needed items: DOG/CAT TOYS, WET FOOD FOR DOGS/CATS and PET BEDS. They want to make sure that every pet coming in to them has everything to be comfortable and happy for the holidays. 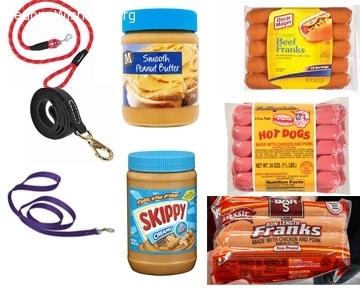 The Humane Society of Sedona needs Dog leashes, Peanut Butter and Hotdogs. Check out our Amazon Smile Wish List for Humane Society of Sedona to order online or drop off at the shelter at 2115 Shelby Drive. Questions? 928-282-4679. 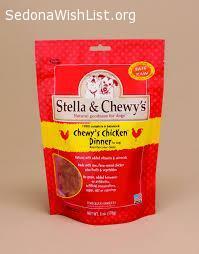 The Humane Society of Sedona needs Clay Litter (UNSECENTED), Wet Kitten Food and Baby Food for our picky eaters. Check out our Amazon Smile Wish List for Humane Society of Sedona to order online or drop off any collars at the shelter at 2115 Shelby Drive. Questions? 928-282-4679. 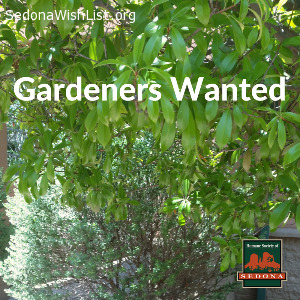 The Humane Society of Sedona needs a Volunteer to help with "handyman" jobs around the shelter. Please give us a call and ask for Sarah Porter our Volunteer Coordinator. 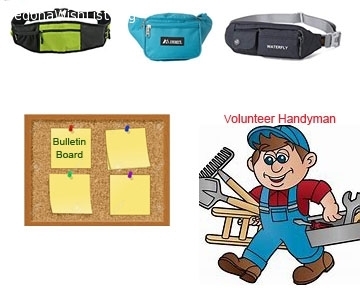 We also need fanny packs for dog walkers and small bulletin boards (1'x2'). Check out our Amazon Smile Wish List for Humane Society of Sedona to order online or drop off at the shelter at 2115 Shelby Drive. Questions? 928-282-4679. 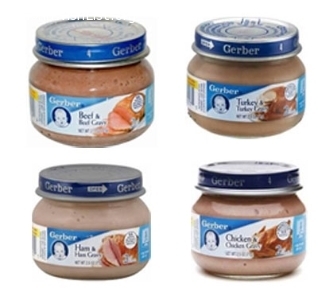 The Humane Society of Sedona needs Baby Food (turkey, ham & beef). We also need Cans of Tuna, Hot Dogs, Clay Litter and Cat Collars. Check out our Amazon Smile Wish List for Humane Society of Sedona to order online or drop off at the shelter at 2115 Shelby Drive. Questions? 928-282-4679. 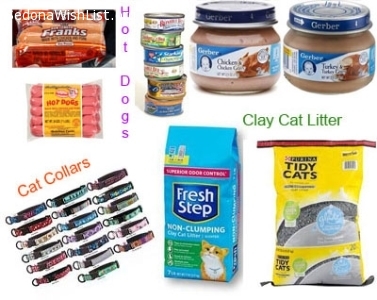 The Humane Society of Sedona needs Clay Litter (UNSECENTED) & Kitten Wet Food Check out our Amazon Smile Wish List for Humane Society of Sedona to order online or drop off any collars at the shelter at 2115 Shelby Drive. Questions? 928-282-4679. 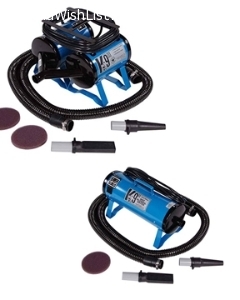 The Humane Society of Sedona is in need of a high velocity dog grooming dryer. A new or gently used one would be great. Check out our Amazon Smile Wish List for Humane Society of Sedona to order online or at the shelter at 2115 Shelby Drive. Questions? 928-282-4679. As always your continued help and support is appreciated. 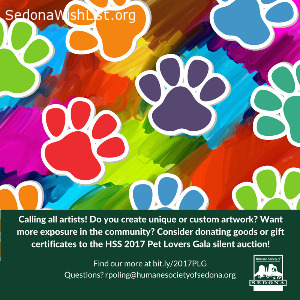 The Humane Society of Sedona is having our annual fundraising Pet Lovers Gala on September 29th and we would love donations of Restaurant Gift Certificates for our silent auction. 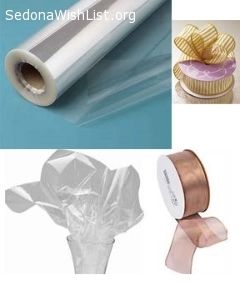 We also need clear cellophane wrapping paper and wired ribbon for bows. If you would like to attend the Gala, tickets are $95 per person. Please drop off your donations at the shelter at 2115 Shelby Drive. Questions? 928-282-4679. Thank you!! The Humane Society of Sedona needs wet kitten food, any brand. We’ve got quite a number of kittens to feed. Your help is always appreciated. Please check out our Amazon Smile Wish List for Humane Society of Sedona to order online or drop off at the shelter at 2115 Shelby Drive. Questions? 928-282-4679. Thank you for the clay kitty litter and the meat flavored baby food. Your generosity is appreciated!! The Humane Society of Sedona is desperately in need of LARGE & XL Mesh walking harness’s. We have NO large ones and lots of large dogs! We also always need Dog & Cat Team Volunteers. Check out our Amazon Smile Wish List for Humane Society of Sedona to order online or drop off at the shelter at 2115 Shelby Drive. Questions? 928-282-4679. The Humane Society of Sedona is in need Meat Flavored Baby Food. This is for the dogs and cats that aren’t eating when they first come into the shelter because they are stressed and not feeling good. Your help is very much appreciated. Please check out our Amazon Smile Wish List for Humane Society of Sedona to order online or drop off at the shelter at 2115 Shelby Drive. Questions? 928-282-4679. 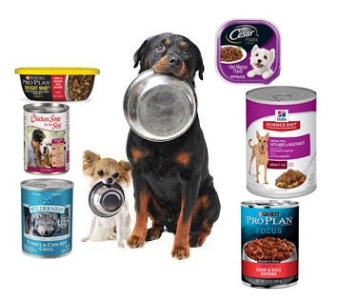 The Humane Society of Sedona is in need of Canned Dog Food any brand as well as Kitten Wet Food, Hot Dogs, and cat collars and Clay Cat Litter. Check out our Amazon Smile Wish List for Humane Society of Sedona to order online or drop off at the shelter at 2115 Shelby Drive. Questions? 928-282-4679. It’s kitten season!!! 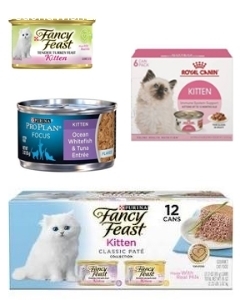 The Humane Society of Sedona is in need of Fancy Feast Wet Kitten Food and Clay Cat Litter. 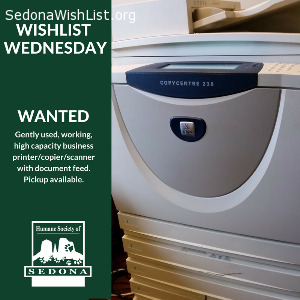 We could also use Copy Paper for printing our Adoption Contracts/Kennel Cards/Vaccination Certificates etc etc… Check out our Amazon Smile Wish List for Humane Society of Sedona to order online or drop off at the shelter at 2115 Shelby Drive. Questions? 928-282-4679. 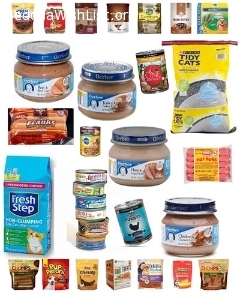 The Humane Society of Sedona is in need of Canned Dog Food, Clay Cat Litter as well as Meat Flavored Baby Food, Hot Dogs, Cans of Tuna and Dog Treats. Check out our Amazon Smile Wish List for Humane Society of Sedona to order online or drop off at the shelter at 2115 Shelby Drive. Questions? 928-282-4679. 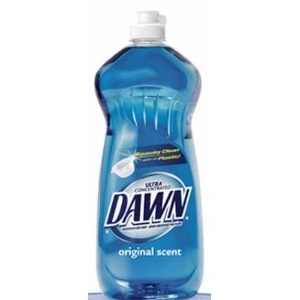 The Humane Society of Sedona needs Paper Towels and Dawn Dish Soap. Check out our Amazon Smile Wish List for Humane Society of Sedona to order online or drop off at the shelter at 2115 Shelby Drive. Questions? 928-282-4679. Office and cleaning supplies needed at the Humane Society of Sedona. We are all out of copy paper and scotch tape and low on paper towels. If you are out and about this week it would be great if you could think of the animals and pick up a few items to help the shelter. Drop supplies off at the shelter, 2115 Shelby Dr. Sedona - open daily 10 a.m. to 4 p.m. Questions? Call 928-282-4679. 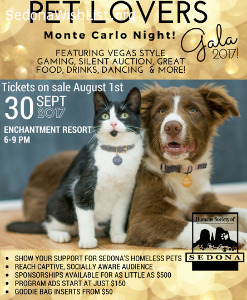 Humane Society of Sedona is hosting its Pet Lover's Gala on Sept 29th. As the only annual event and fundraiser to help raise money for homeless animals in Sedona and VV, we are looking for Sponsors ($5000 to $500) and auction items. Sponsors can be businesses or individuals and they receive lots of great benefits! Auction item ideas: animal related art/sculptures, new electronics, wine, jewelry, hotel stays, restaurant gift certificates, and any Sedona experience gift certificates. 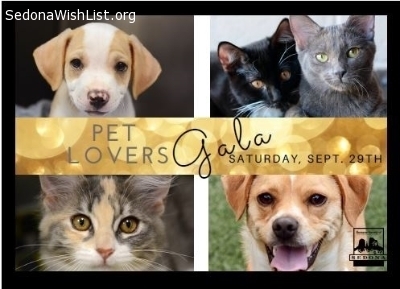 Thank you for helping the 2018 Pet Lovers Gala be successful for the animals! Join the Dog Team, Cat Team, or Front Desk Team! The Humane Society of Sedona needs Baby Food (turkey, ham & beef). We also need Standard Dog Leashes, Wet Dog Food, Cans of Tuna and Dawn Dish Soap. Check out our Amazon Smile Wish List for Humane Society of Sedona to order online or drop off at the shelter at 2115 Shelby Drive. Questions? 928-282-4679. The Humane Society of Sedona needs XL Mesh Harnesses. We also need Paper Towels and Large Trash Bags, any brand. Please check out our Amazon Smile Wish List for Humane Society of Sedona to order online or drop off at the shelter at 2115 Shelby Drive. Questions? 928-282-4679. Thank you for all of out wishes!!! The Humane Society of Sedona needs Xtra-Large Dog Harnesses. 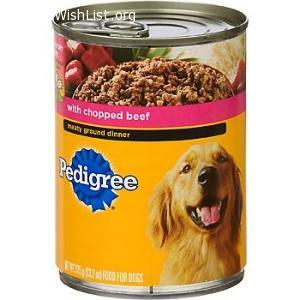 We also need wet dog food – pate. Any brand. Please check out our Amazon Smile Wish List for Humane Society of Sedona to order online or drop off at the shelter at 2115 Shelby Drive. Questions? 928-282-4679. 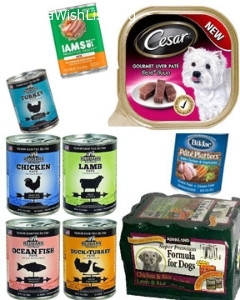 The Humane Society of Sedona needs wet dog food Pate – any brand – any kind. Check out our Amazon Smile Wish List for Humane Society of Sedona to order online or drop off at the shelter at 2115 Shelby Drive. Questions? 928-282-4679. 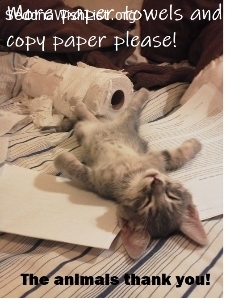 The Humane Society of Sedona needs Copy Paper. 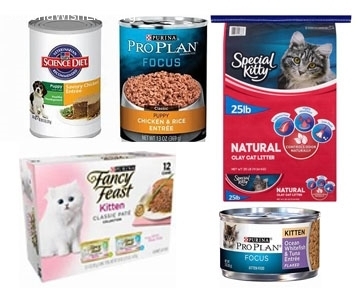 We also need weight management cat food and xtra small dog collars. Check out our Amazon Smile Wish List for Humane Society of Sedona to order online or drop off at the shelter at 2115 Shelby Drive. Questions? 928-282-4679. 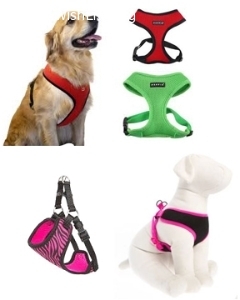 The Humane Society of Sedona needs XLarge Dog Harnesses – Mesh. 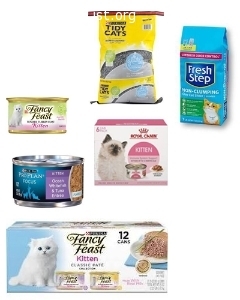 We also need weight management cat food and xtra small dog collars. Check out our Amazon Smile Wish List for Humane Society of Sedona to order online or drop off at the shelter at 2115 Shelby Drive. Questions? 928-282-4679. The Humane Society of Sedona needs smooth/creamy peanut butter for kongs, baby food for picky eaters, hot dogs for treats and large dog beds. We also need weight management cat food and cat collars. Check out our Amazon Smile Wish List for Humane Society of Sedona to order online or drop off at the shelter at 2115 Shelby Drive. Questions? 928-282-4679. 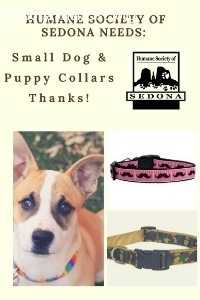 The Humane Society of Sedona needs xtra-small dog collars and small dog beds. Our back-up supply of small dog and puppy collars are empty! New or gently used for your own dog will work. The cuter the better (of course). Check out our Amazon Smile Wish List for Humane Society of Sedona to order online or drop off any collars at the shelter at 2115 Shelby Drive. Questions? 928-282-4679. 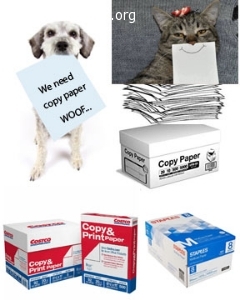 The Humane Society of Sedona is in need of Xtra-Small Dog Collars and plain white Office Copy Paper. 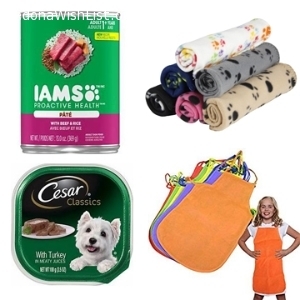 Check out our Amazon Smile Wish List for Humane Society of Sedona to order online or stop by your favorite office supply store and drop off at the shelter at 2115 Shelby Drive. Questions? 928-282-4679. The Humane Society of Sedona is in need of a Volunteer with Graphic Design experience to create car wraps, flyers, ads etc. Must have your own graphic software and computer. We are also still in need canned/wet dog food, dog leashes and collars any size. 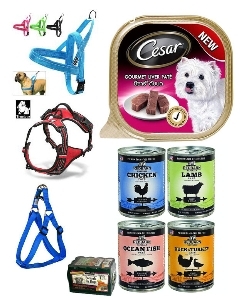 Please check out our Amazon Smile Wish List for Humane Society of Sedona to order online. Questions? 928-282-4679. The Humane Society of Sedona is low on canned/wet cat food. Any brand, any size will help us immensely. 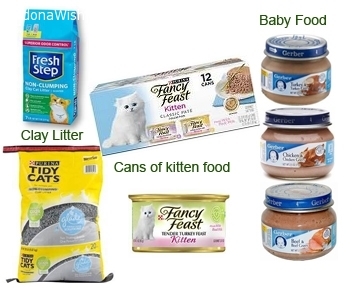 Check out our Amazon Smile Wish List for Humane Society of Sedona to order online or stop by your favorite grocery store and drop off any canned cat food at the shelter at 2115 Shelby Drive. Questions? 928-282-4679. 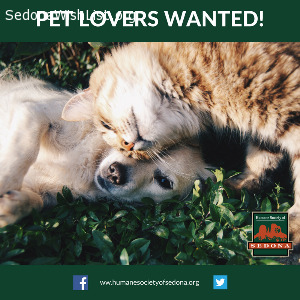 The Humane Society of Sedona is in need of a Volunteer with Graphic Design experience to create car wraps, flyers, ads etc. Must have your own graphic software and computer. We are also still in desperate need for canned adult dog food. 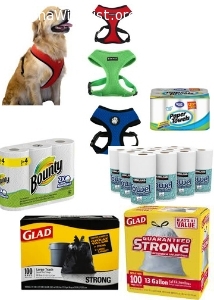 Please check out our Amazon Smile Wish List for Humane Society of Sedona to order online. Questions? 928-282-4679. 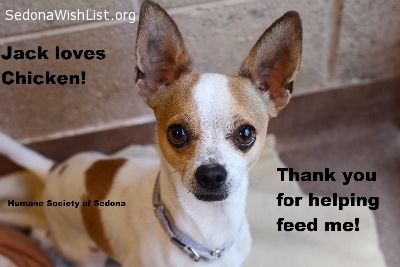 The Humane Society of Sedona is low on canned/wet dog food. Any brand, any size of pate will help us immensely. 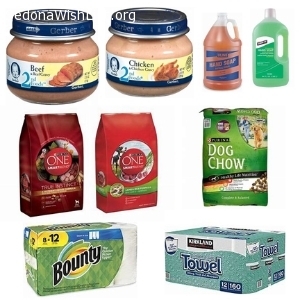 Check out our Amazon Smile Wish List for Humane Society of Sedona to order online or stop by Petsmart, Walmart or your favorite grocery store and drop off any canned dog food at the shelter at 2115 Shelby Drive. Questions? 928-282-4679. Thank You to Everyone who donated the dog jackets. We received several cute and warm jackets, keeping the dogs snuggly on these cold nights. The Humane Society of Sedona has had in influx of puppies and small dogs and they all need collars. Our back-up supply of small dog and puppy collars are empty! New or gently used from your own dog will work. The cuter the better (of course). Check out our Amazon Smile Wish List for Humane Society of Sedona to order online or drop off any collars at the shelter at 2115 Shelby Drive. Questions? 928-282-4679. Two of our tools for getting dogs adopted are running low: dog leashes and large zip-lock baggies. We go thru a lot of leashes; some dogs are leash-chewers and sometimes they go home with adopted dogs. We also like to send dogs home with a couple meals of the dog food they’ve been eating at the shelter (to help prevent stomach upset). We could really use some new/used leashes and 1-gallon zip-lock baggies to help us send more dogs home! Please take donations to HSS, 2115 Shelby Drive. Questions? 928-282-4679. Thank you for the Gift Card for Chicken! Thank you to the anonymous generous donor who brought in a $50 gift card to the Humane Society of Sedona so we can buy fresh rotisserie chicken for the little dogs that won’t eat anything else! Their full bellies thank you too! Wags! 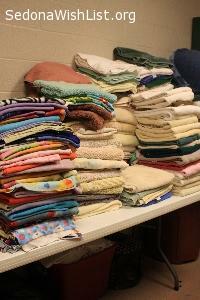 New or used comforters and blankets are needed for the animals at the Humane Society of Sedona. Can you imagine being in a strange place away from every comfort you’ve ever known in life? A fluffy warm blanket can make it all seem better. 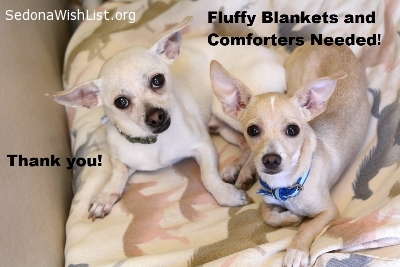 The Humane Society of Sedona needs any washable blankets or comforters…the fluffier the better! Wags! The larger dogs at the Humane Society of Sedona are wishing for large dog sweaters. Some of our large dogs prefer to have their doggie-door open to the outdoors at night. They can go inside or outside freely – but we still worry they will get cold…so every night they each get a sweater. We are running low on large sweaters and are wishing for some new or used to be donated. The Boomboom Pet Dog Clothes, Fashion Autumn Winter Knitted Sweater on Amazon for $8.58 would be great! Can you imagine a bad hair cut that won’t grow out? That’s what we believe happened to a sweet dog awaiting adoption at the Humane Society of Sedona. Lily, 8 yr Chow-mix, must have been shaved earlier in her life and her fur didn’t grow back the same. 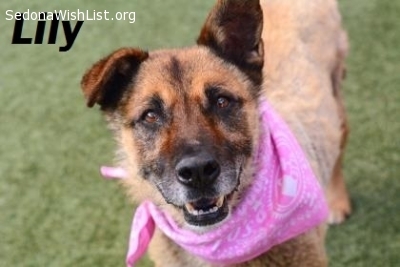 Lily is a little scruffy on the outside and full of love on the inside. Maybe an array of cute doggie t-shirts to help her feel more beautiful? Can you look past her hair and make her feel beautiful in your home? Come meet Lily today! Sometimes fresh chicken is all they will eat! The Humane Society of Sedona regularly gets tiny little dogs surrendered by their owners or transferred-in from other shelters. Often times these little ones are so scared, overwhelmed, and sad that they will not eat dog food. We try everything…hand-feeding, warming in the microwave… to no avail. Fresh rotisserie chicken is the secret! Some weeks we buy several chickens from Safeway. 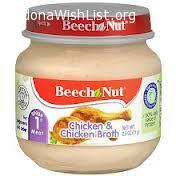 Our Sedona Wish is for Safeway Gift Cards so we can buy fresh chicken and keep our little dogs fed and happy. It's only January, but we're already beginning to see homeless kittens in need. That means we have some very fragile, very tiny mouths to feed. We've been so very fortunate in the past when we've needed special food for the pets in our care, and we're hoping once again our community will come through for us. 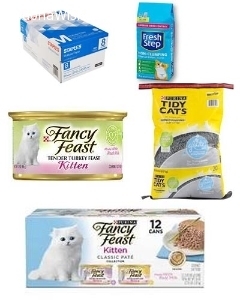 Our favorite is Fancy Feast Tender Turkey Canned Kitten food, but other brands will work - it just has to be specifically for kittens. The other thing we're in need of is dryer sheets. I know it sounds mundane but keeping this many pets comfy, cozy, and warm requires we dozens and dozens of loads of laundry every day. 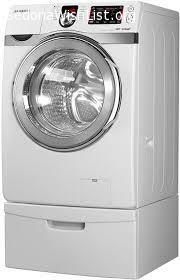 That means dozens and dozens of dryer sheets are needed to keep everything smelling fresh and reduce static electricity. The Humane Society of Sedona is looking for funding to help provide free and low-cost spay/neuter surgeries for pets of low income pet owners across the Verde Valley. 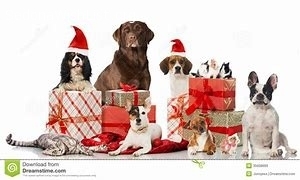 Donors can sponsor a spay or neuter for someone on the waiting list for $40-$95 dollars ($40-$65 for cats and $95 for dogs) - or - donors can purchase a gift certificate for a spay or neuter and give it as a gift to anyone they know with a pet in need. Call 928-2872-4679 or email rpoling@humanesocietyofsedona.org for more information. HSS has cats, dogs, and rabbits looking for homes for the holidays. Please consider adopting a homeless pet this Christmas. 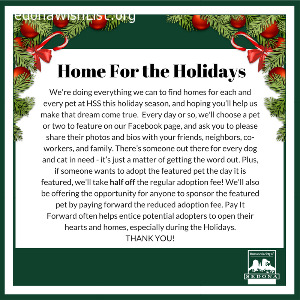 HSS is running adoption specials throughout the month of December. 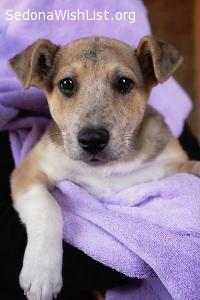 Find out more on their Facebook page at facebook.com/HumaneSocietyOfSedona. We are in need of gently used, working high-capacity business mulit-function copier/printers for adoption flyers, volunteer manuals, training presentations and more. Must be high-capacity, multi-drawer with sheet feeder. We can pickup. Email photo and info to rpoling@humanesocietyofsedona.org. Update 01/09/2018 - we have received a copier! Thank you! People who love their pets want the best for them, and spay/neuter is good for your pet. That's why HSS recently re-opened our low-cost spay/neuter clinic to low-income families in our area. But even with our low rates, some area pet lovers simply cannot afford to get their pets altered. We've had to turn away people. Our hearts break for them. We're hoping to find 10 people who will donate so that one pet of a low or fixed income family can be spayed or neutered at our clinic. Many people who want to do the right thing but can't afford to. Won't you help us help them help their beloved pets this Holiday? 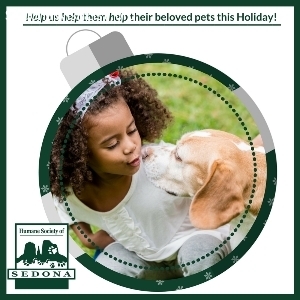 Visit http://bit.ly/HelpHSSHelpPets for more information or to donate, call 928-282-4679, or email rpoling@humanesocietyofsedona.org. Don't forget the pets this holiday! 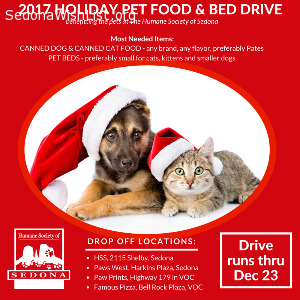 The Humane Society of Sedona 2017 Holiday Pet Food & Bed Drive has begun! 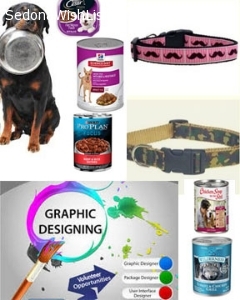 The most needed items include canned dog & canned cat food, preferably pates, and small pet beds for cats and small dogs. Drop off locations include the Humane Society at 2115 Shelby, Paw Prints in VOC, Paws West in Harkins Plaza, and Famous Pizza, 10 Bell Rock Plaza in VOC. The drive runs through December 23rd. UPDATE: We were fortunate enough to receive plenty of it. We're going through it fast, but we wanted to make sure everyone knew how grateful we were for the donations. THANK YOU! Is your pet spayed or neutered? We can help! 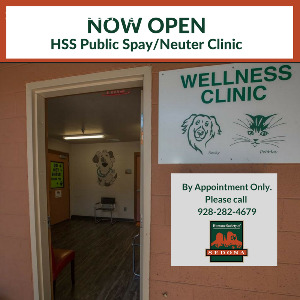 The Humane Society of Sedona Spay/Neuter Clinic is now open 2 days a week, offering low-cost spay/neuter surgeries for pets of low-income families in the Verde Valley. Prices are $95 for dogs, $65 for female cats, $40 for male cats, and $25 for feral cats. For more information, or to schedule your pet's appointment, call 928-282-4679 or email info@humanesocietyofsedona.org. The one thing we never have enough of! Two words: Paper Towels. We always need them and we never have enough. Order online and have them shipped to us (shipping is minimal for lightweight items like paper towels), or drop them off at our main location, 2115 Shelby, 10am-4pm 7 days/week. Oh, and if you are looking for an awesome companion, Callie (pictured here) needs a home. THANK YOU! Calling all owners of unvaccinated pets! On Thursday, 9/28, the Humane Society of Sedona will hold a pet vaccination clinic at Posse Grounds Park from 9 am to 2 pm. The first 100 pets belonging to Sedona residents will get a FREE rabies vaccination, with other vaccinations, dog licenses and microchips available at a discount. This event is CASH ONLY and 1st come, 1st serve. 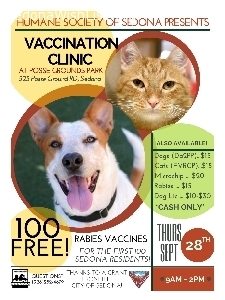 Dog vaccinations (Da2pp), Cat vaccinations (FVRCP), and rabies (for those living outside Sedona, or after the first 100 are gone, will be available for $15 each. Microchips will be available for $20 each. City of Sedona dog licenses will be available as well. Thanks to the City of Sedona for their support! On Thursday, 9/28, the Humane Society of Sedona will hold a pet vaccination clinic at Posse Grounds Park from 9 am to 2 pm. The first 100 pets belonging to Sedona residents will get a FREE rabies vaccination, with other vaccinations, dog licenses and microchips available at a discount (cash only!). The staff and volunteers need 10' x 10' dark green pop up canopies to provide shade for pets and their owners so everyone stays cool and comfortable. The tents are available for just $ 57.92 thru Walmart.com and can be shipped directly to the Humane Society of Sedona, 2115, Shelby Drive, Sedona, 86336, for use at the event. We have recently taken in several bunnies and a guinea pig. Prior to that we had another bunny and pet mice. Because we deal mainly with cats and dogs, we often do not have a supply of appropriate food on hand for these pets. 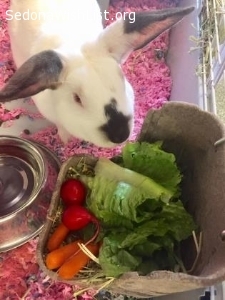 We would appreciate donations of food for rabbits, guinea pigs, hamsters, or mice. Donations can be purchased locally and dropped of at 2115 Shelby Road from 10AM to 4PM 7 days/week, or purchase on Amazon.com and have donations sent directly to us. 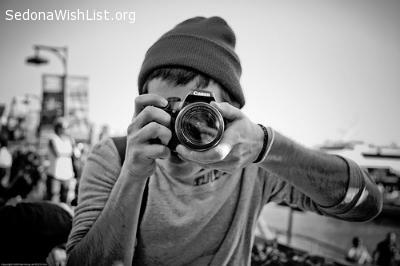 Our Wish List is at http://bit.ly/WishListHSS. 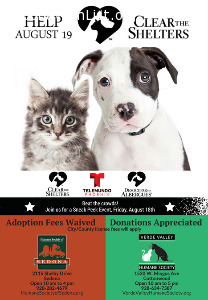 CLEAR THE SHELTERS is a Nationwide Adoption Event that takes place on Saturday, August 19th, 2017 and is sponsored by NBC and Telemundo, and this year Humane Society of Sedona and Verde Valley Humane Society are participating. Adoption fees will be waived on all animals beginning Friday, 8/18, although donations are encouraged. All pets are spayed or neutered, vaccinated and microchipped. In 2016, 73,000+ pets found homes during the Clear The Shelters Event. Please help us Clear The Shelters by coming out and adopting a new furry family members! Find out more at http://www.cleartheshelters.com/, and be sure to follow the excitement on Facebook! Do you create unique or custom artwork? Want more exposure in the community? Consider donating goods or gift certificates to the HSS 2017 Pet Lovers Gala silent auction! Contact rpoling@humanesocietyofsedona.org. Love people and pets? 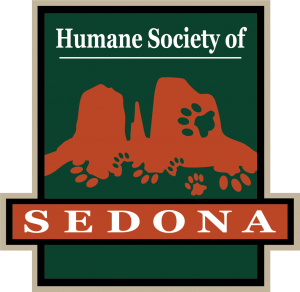 Humane Society of Sedona is in need of a part-time Volunteer Coordinator. 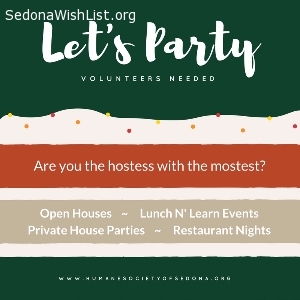 The Volunteer Coordinator is responsible for the volunteer department including recruitment, orientation, scheduling, and tracking hours of the volunteers who assist the Humane Society of Sedona (HSS) shelter and thrift store staff. Prior experience is required. 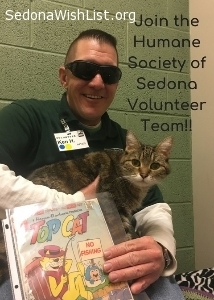 For more information, visit our website at www.humanesocietyofsedona.org and choose About/Careers. HSS is now accepting applicants for volunteer dog walkers, cat lovers, party planners, administrative help, and much more! Sign up online now and then plan to attend one of our August volunteer orientations! 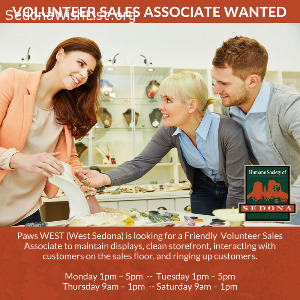 We have a volunteer opportunity for a sales associate at the Paws West Thrift Store, next to Harkins Plaza in West Sedona. Hours are Monday and Tuesday 1pm – 5pm and Thursday and Saturday 9am - 1 pm. 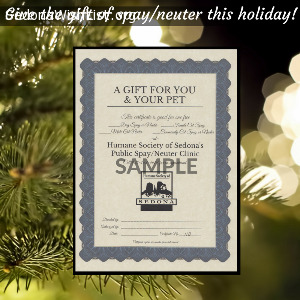 Email William at wkeller@humanesocietyofsedona.org for more information. 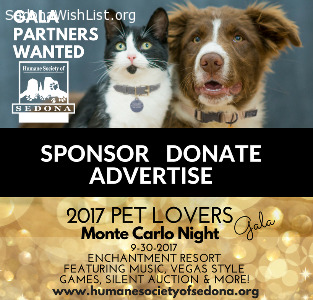 The Humane Society of Sedona is wishing for sponsors, auction item donors, and advertisers for their upcoming fundraiser. The 2017 Pet Lovers Gala is a great opportunity to show your support for the pets in our community, while reaching a captive audience of local residents who share your passion and commitment. Sponsorship opportunities provide unparalleled exposure for your business, starting at just $500. Event night program ads start as low as $150, and Goodie Bag inserts are just $50. We're also accepting donations of goods and services for our silent auction through August 31, 2017. Contact us for details on how your business can partner to help save lives. Whether you're a dog person or a cat person, your assistance is needed. We are looking for volunteers to pet, play with, read to, and generally entertain dogs, cats, puppies and kittens! Socializing (learning how to interact appropriately with humans) is critical for youngster looking for new, loving homes. Your time now can prepare them to put their best paw forward when potential adopters come calling. Our Animal Care team is charged with the daily care for dozens of dogs, cats, puppies and kittens. They need clay cat litter, Purina dry kitten food, canned food for puppies, Dawn dish soap, large dog beds and large trash bags. Get your hands dirty and help us help more pets. When the landscape around our shelter looks neat and trim, people are more likely to feel comfortable stopping by to see our adoptable pets. When it's overgrown, people are hesitant to stop. But we don't want to spend donation money on tree trimming and weed pulling, so we're looking for a volunteer or group of volunteers to lend a hand. Are you the hostess with the mostest? We're looking for volunteers to help with party planning! We're putting together a team of people who love to socialize and have fun to help us with Open Houses, Wine & Cheese Receptions, Private Home Parties, Lunch N Learn events and Restaurant Nights. Sound like fun? 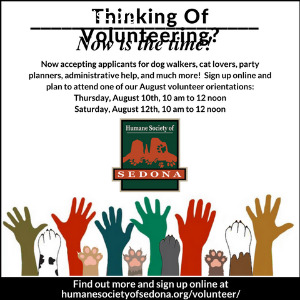 Email rpoling@humanesocietyofsedona.org for more information! Have fun, get some exercise, and help a shelter dog in need! Join other volunteers on our Dog Team, walking dogs and cleaning up. We need volunteers for the morning shift, 7 am to 9 am, Monday, Tuesday and Wednesday. Training is provided. Come join us. You'll be glad you did! 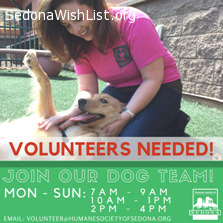 Volunteers Needed at the Humane Society of Sedona!! 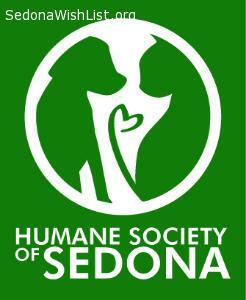 Join the Humane Society of Sedona as a volunteer and help make a world of difference for the animals in our care! Volunteers are the heart of our organization and a key reason why we are able to save so many lives. Our volunteers donate their time to provide our rescued animals with lots of love and bring a healthy daily routine to their lives. Volunteers are absolutely critical for the success of our shelter and their contribution is priceless. Come join our great team of volunteers. Consider working in Animals Care (Cats/Dogs), Collect Donation Banks, PetSmart® Adoption Counselor, Special Event Volunteers, or work at one of the HSS Thrift Store locations. Visit our website at www.humanesocietyofsedona.org for more information. 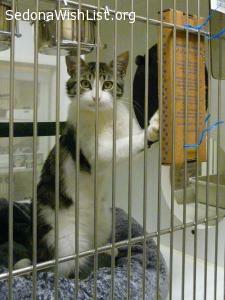 Our Volunteer Manager, Liz Olson is available at the shelter to answer any questions you may have! She can be reached at (928)282-4679. 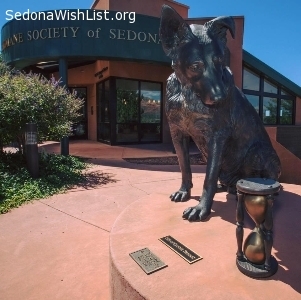 The Humane Society of Sedona is in need of the following dog items at our shelter. Please call the Humane Society at 928-282-4679 or come on by any day from 10AM - 4PM to drop off donations, THANK YOU! The Humane Society of Sedona is in need of front desk volunteers. This person would be the first point of contact to the public. Must be computer literate and have great phone skills. 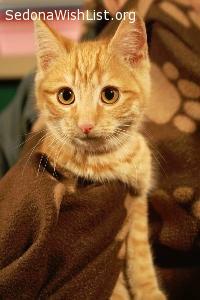 Would be involved in the intake process of strays and surrenders, as well as adoptions. Please call the shelter at 928-282-4679, if interested. Ask for Sue Springer. We have a few pets here at the Humane Society of Sedona that are on special diets and we are in need of grain-free kibbles and grain-free wet food. Thank you in advance for your consideration of our furry friends in need!!! We are currently looking for two mini refrigerators to help with our low-cost vaccine clinics. A lot of our medication requires refrigeration, and this would be a wonderful help for us! We are enjoying being of service to the pets in the area who need updated vaccines, and whose owners can't afford a vet office visit. We want to be able to continue to offer this service to our community. Hey All! 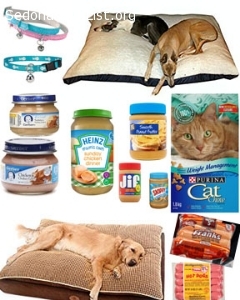 We are in need of pet items for our in-house resale area! Located in the front lobby of our shelter facility at 2115 Shelby Drive, our shop of gently used pet items is a much-needed stop for lots and lots of pet parents! Adopters past, present, and future stock up on leashes, collars, toys, treats, crates and kennels - just about anything we have available! Our shop is comprised entirely of donated items, too, so the community is able to give back AND directly help the animals! If you have new or used pet items in good condition that you would like to donate, please drop them off at our shelter - we are open seven days a week from 10:00 am to 4:00 pm! Thank you!! The Humane Society of Sedona is looking for one or more iPads for use in the thrift shops. Internet capability is required. Thank you! We need crates for transporting our dogs to offsite adoption events to find homes! Wire crates or airline plastic crates both work very well, medium sized or large. Help our kiddo's find their FURever homes! Thank you! The Humane Society of Sedona is looking for one or more iPads for use in the thrift shops and for offsite adoptions! Internet capability is required. Thank you! Hi all! We are in need of Kong Wobblers for our dogs to provide enrichment, mental stimulation, and something to work on in their kennels. Kong Wobblers are durable food puzzles that help tremendously with our doggie residents. They are available online or in some local pet stores, too! :) Thank you! The Humane Society of Sedona needs Thundershirts for dogs, any sizes. These shirts work in combination with other tools to help calm, de-stress, and relieve anxiety. 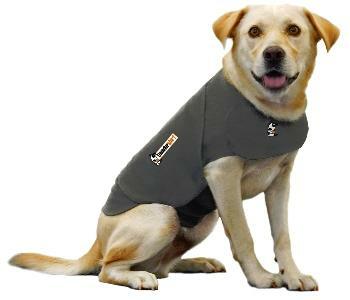 Their official website is www.thundershirt.com, though you may find them in pet stores or on Amazon.com. Thank you from the people and pets of HSS! The Humane Society of Sedona is looking for one or more iPads for use in the thrift shops. Internet capable required, though well used, limited memory (16 GB), refurbished is okay as long as it is workable/functional. Thank you! Thank you so much for helping the pets in our community! We have received our wish of a desktop computer, and we thank you!! High value treats are essential for training in a shelter environment - and not just for the dogs (many dehydrated cat treats are also available!). 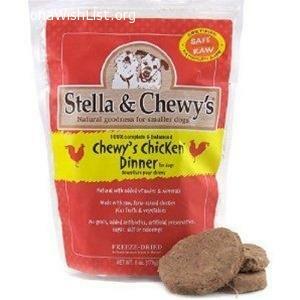 Freeze dried meats (patties or pieces) from Stella and Chewy's http://www.stellaandchewys.com/dog-products.php are an excellent example - though there are many similarly wonderful products available, and you can call your local pet shop to inquire. 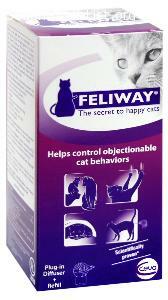 We would like Feliway diffuser and refills for out cat isolation, intake, and adoption areas. The diffusers release calming pheromones and help keep the cats relaxed and stress-free during their stay at the humane society. 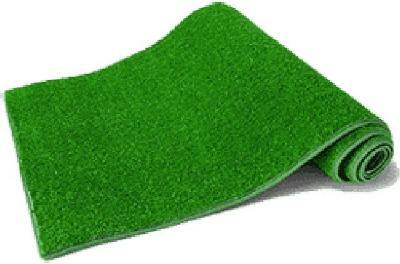 The Humane Society of Sedona is looking to replace areas of astroturf in dog runs. Various sizes and shapes are usable, though we have several large areas in need. If you have any leftover, or are wanting to help our doggies stay happy and healthy, please consider a donation! Thank you! 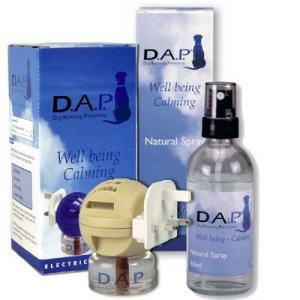 We would like DAP diffusers (Dog Appeasing Pheromone diffuser), refills, and sprays for our dog isolation, intake, and adoption areas. The diffusers release calming pheromones and help keep the dogs relaxed during their stay at the humane society. KONGs are wonderful behavioral enrichment toys for our pups (and sometimes even the kitties!). It helps keep our dogs busy and engaged while in their kennels, and helps calm them down by encouraging chewing at night. KONG toys are also very durable. KONG toys are widely used as therapy for prevention of boredom, separation anxiety, and other behavioral issues. Providing food or treat-stuffed KONG toys for dogs can keep them contently busy working, and out of trouble for long periods of time. We need baby food to encourage some of our animals to eat, also for helping to medicate sick animals. Jars of 100% meat, such as chicken, beef, or turkey works well. Thank you! Paws West Thrift Store needs a front loading washing machine. Ask for Ansley, at (928) 282-1287. 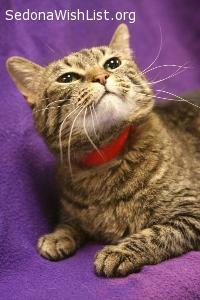 HSS is looking for lighting equipment for our adoptable cat photography. With the help of social media, newsletters, and organizations all working together, staff and volunteers are able to get the word out on adoptable animals like never before! We are working on improving the quality of our pictures, and we are already seeing results. http://fjwestcott.com/product/900-watt-spiderlite-td5-large-shallow-softbox-kit is a good example, and we are happy to take donated items! 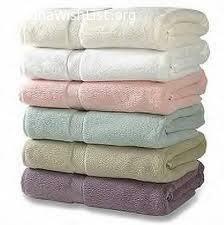 We are in immediate need of towels. If you have any you are able to donate, we would greatly appreciate it! We are open 10:00 am to 4:00 pm seven days a week, and in well-used shape is just fine! If you are able, please drop off at 2115 Shelby Drive at your earliest convenience. Thank you all! Have a beautiful holiday season! We need 1 or 2 volunteers to help with arts and crafts projects with our pets! 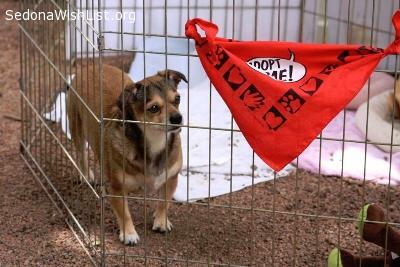 An example would be making adoption bandannas, vests, or leash sleeves. 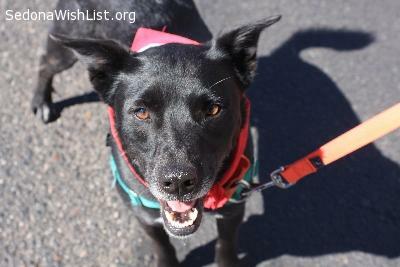 Contact us at info@humanesociety.org and ask to get in touch with Stephanie, re: Sedona Wish List! Thanks! We need a dedicated volunteer for flyer distribution in the Sedona, VOC, and/or Cottonwood areas. Our flyers help get the word out for upcoming promotions, and ways to help the homeless animals in our community. Please call us at 928-282-4679 and ask for Jacquie or Deb. We need indestructible dog toys for the dogs in our kennels. Stuffed toys are torn apart easily and are able to be ingested - so we need tough stuff! 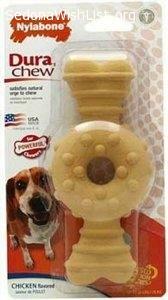 Nylabones are perfect for our pooches! They are available on amazon.com or in pet shops in town! 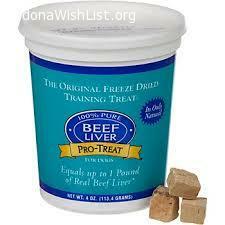 We need baby food to encourage some of our animals to eat, also for helping to medicate sick animals. Jars of 100% meat, such as chicken, beef, or turkey works well. 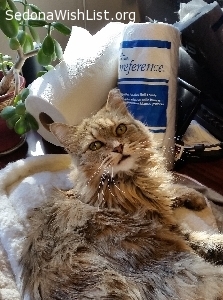 A wonderful and generous donor saw our ad and gave lighting equiptment so we can take better photos for our kitties! THANK YOU from all the people and pets of HSS! We have two photographers who have volunteered and will be photographing animals! Thanks to everyone who pitched in to get collars on every one of our kids! Lots of critters in the HSS family are stylin' - not just a morale booster, but they look so good it helps them find homes! 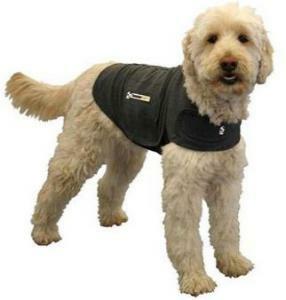 The Humane Society of Sedona could use a few Thundershirts for dogs, size Large and Small. (A donor gave us an XL and a Medium!) These shirts wrap snuggly and relieve anxiety. The website is www.thundershirt.com. The company is currently offering free embroidery. Please request "Humane Society." It will help us keep them on the premises. Thank you from the dogs who will appreciate the extra comfort! Thank you everyone who contributed with treats for our dog walking program! Our kitties scratching needs are fulfilled! They say, thanks!